The Robinson Street parklet designs have been officially submitted to the City of Richmond for review by the design team from 3north. With the $2,500 VCUArts grant, generous sponsor donations and our upcoming Kickstarter page, we hope to fund this project to bring the very first parklets to Robinson Street, RVA! We will be launching a Kickstarter project in the coming weeks – please be sure to check back for updates! What is the Robinson Street Parklet Project? 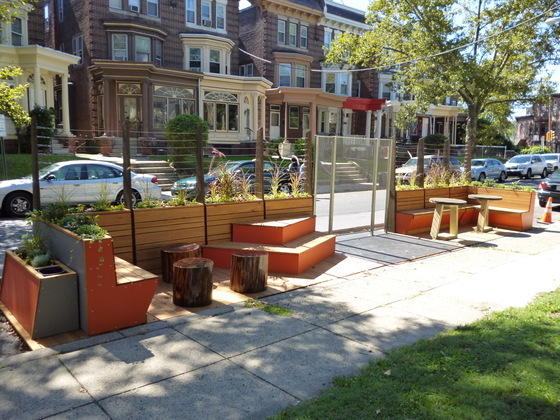 The Robinson Street Parklet Project is an initiative to bring attractive public spaces for residents and visitors to the Robinson Street corridor to enjoy. 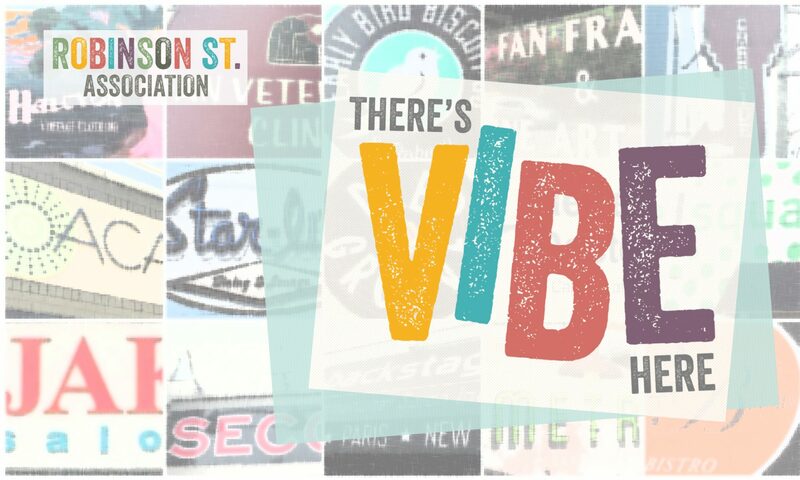 Located in Richmond’s beautiful historic Fan District, Robinson Street provides unique local shopping and dining experiences within close proximity to some of the city’s most visited museums and recreational opportunities. Simple structures called “parklets” will enhance the many amenities Robinson Street has to offer and promote a vibrant, pedestrian community. 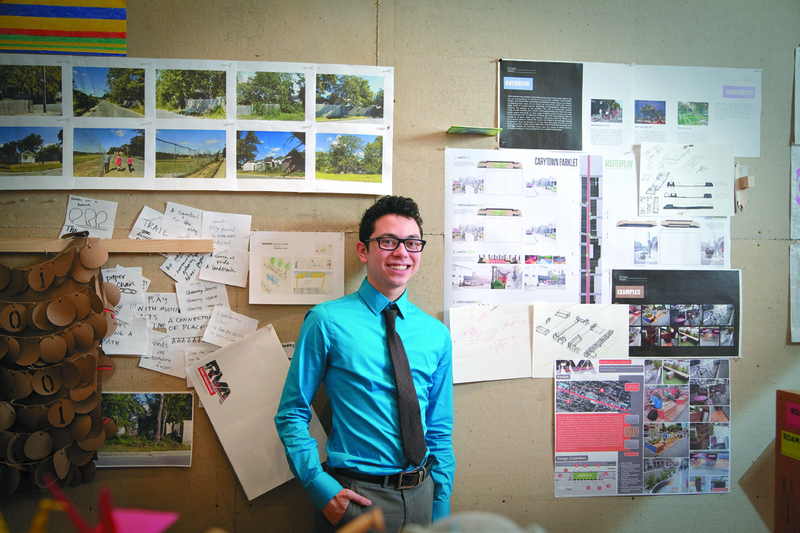 The parklet project was launched by Ricardo Hernandez-Perez and Lauren Versino through a VCUArts grant. Ricardo, an Interior Design student, and Lauren, a Sculpture student, traveled to San Francisco to study this latest trend in creating urban green spaces and bring the ideas back to their college town. Through this generous support from the School of the Arts at VCU, this project will bring the first ever parklets to the Richmond streetscape! Essentially, a parklet repurposes part of the street into open, publicly accessible space for everyone to enjoy. Parklets have been popping up in cities across the United States to provide citizens with slivers of green spaces that encourage impromptu social interaction and provide respites for the urban dweller. Amenities may include bike racks, seating, art, plants and shade. Parklets are an economical solution to meeting community demand for public space in urban neighborhoods. 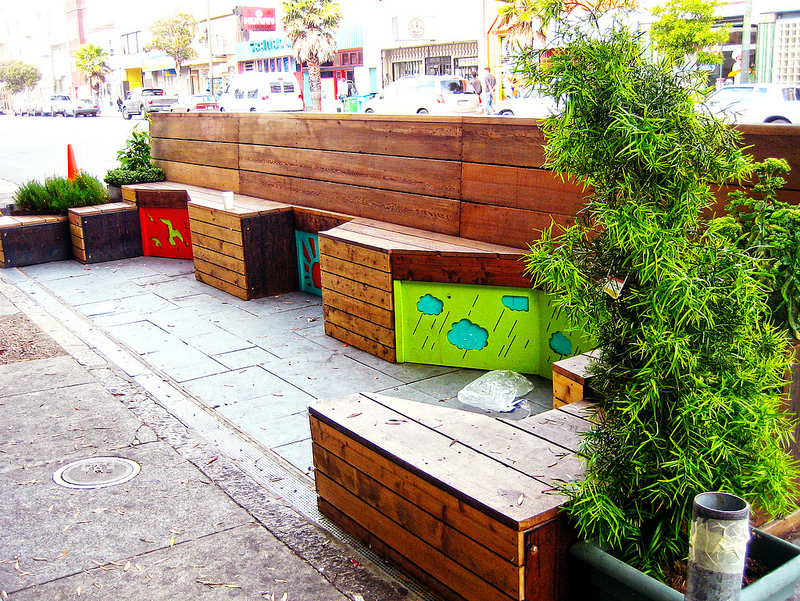 The first official parklet was built in San Francisco in 2010 as an initiative of the San Francisco Planning Department City Design Group’s Pavement to Parks Program, and they have since spread throughout the city and across the nation. Other cities with parklet programs include Philadelphia, Oakland, Los Angeles, San Jose and Dallas. Even our neighbors in Harrisonburg, Virginia held a temporary parklet project last October. 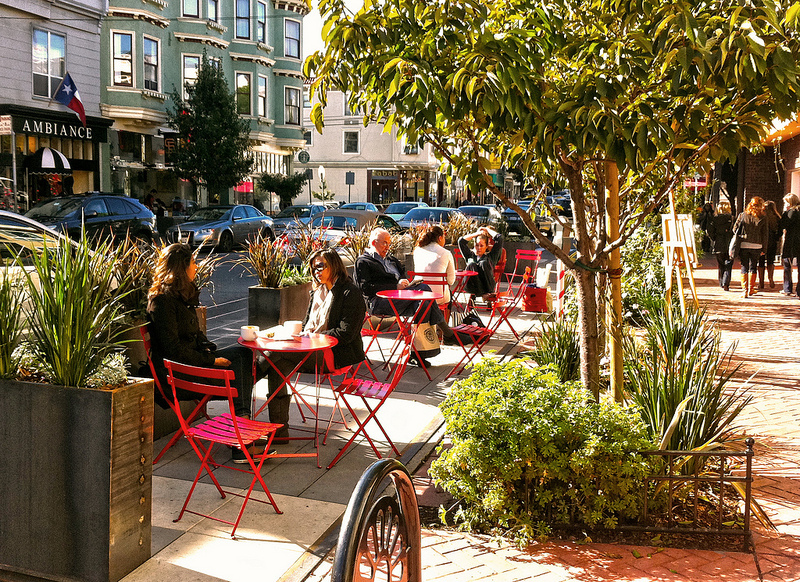 Specific requirements for parklets vary from city to city, but San Francisco offers some general design guidelines that anyone can use in their Parklet Manual (PDF available for download at their site). They recommend building parklets with easily maintained, locally sourced, recycled and low emission materials in favor of plastics and plexiglass. San Francisco also reminds designers that parklets should be open and welcoming, feature no advertisements, include a public parklet sign, be designed for easy removal, and most importantly, the design itself should be as creative as possible. In addition, they strongly encourage integrating amenities to the parklet structure, incorporating planters, and diversifying the overall shape to promote a variety of uses for a singular space. Where will the Richmond parklets be? The parklets will be located along Robinson Street on the corner of Stuart Avenue and on the corner of Cary Street. The Robinson Street Parklet Project is key to the vision of the Robinson Street Association. We have developed a Streetscape Improvement Plan to guide infrastructure improvements to increase the quality and safety on Robinson Street. We envision the Parklet Project as a stepping stone towards a more lively, walkable destination for residents and visitors as well as a desirable location for new businesses. How can I support the Robinson Street Parklet Project? Is your business or organization interested in sponsoring the project through a financial contribution or donation of building materials and/or construction services? Call or email Jillian Fox at 540.922.3397 or jillefox@gmail.com. Are you an individual who would like to contribute to the project?